The reformist Islamic Iran Participation Front has called for the opening of the political atmosphere and the release of Mir Hossein Mousavi, Zahra Rahnavard and Mehdi Karroubi and all political prisoners as the first step toward building confidence in the election. 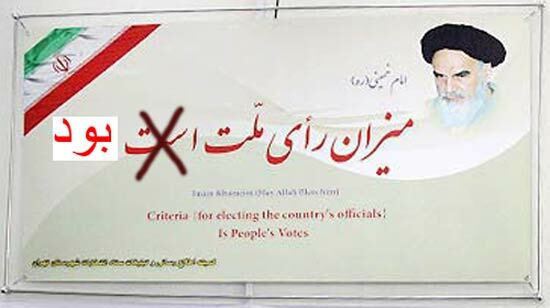 The statement, issued on the 14th anniversary of the reformist group that supported the incarcerated opposition leader Mir Hossein Mousavi in the 2009 presidential election, stresses that the events of the last election have made it clear to political activists that election results are not determined by the ballot and there is no inclination on the government's part to run a clean and open election. The statement goes on to add that the reformists should, however, make every effort to promote healthy elections and engage in open dialogue with the establishment to that end. 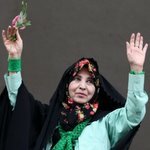 "The first step toward confidence building is through a change in the behaviour of the establishment in both internal and foreign policies and an opening of the political scene, the removal of military and security forces from the political arena and the release of leader of the Green Movement, namely Mir Hossein Mousavi, Zahra Rahnavard and Mehdi Karroubi and all election prisoners." 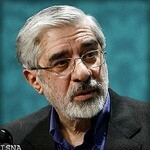 Mir Hossein Mousavi and Mehdi Karroubi, the reformist candidates in the 2009 presidential election, challenged the legitimacy of Mahmoud Ahmadinejad's victory at the polls. They have been under house arrest and cut off from the public since February 2011. The establishment has accused the opposition leaders of instigating a seditious movement. With the approach of the presidential election, the reformists have been debating the possible mechanics of running once again. 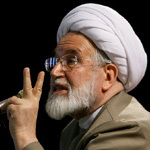 The Islamic Iran Participation Front, the most prominent reformist organization in Iran, was outlawed in Iran following the election protests of 2009, and many of its top members are currently serving prison terms, charged with threatening national security.